My old friend and kombi correspondent Siggi has been traveling Costa Rica again and has sent these cool photos: A bay window bus serving as an advertising sign for the restaurant Patrón’s in Dominical, Costa Rica. Seems to be not unusual to re-use old buses as billboards over there in Costa Rica: check also this older post, also on a bus spotted by Siggi. Interesting how they got it in place up there. From the photo showing the underfloor, it seems there are two strong iron beams running the length of the car from the house to the front axle. They appear to carry the whole weight of the car and probably end in the column behind the bus. With a European eye, this VW bus looks very much like a T2ab, a hybrid between the early bay window buses (1967-1971, front indicators down, roundish bumper bars and front bumper extending into the step for the front doors) and the late bay window buses (1972-1979, front indicators higher up, rear lights bigger and more rectangular, and air intakes in the back not crescent-shaped anymore). Following this German Wikipedia entry, the T2ab hybrids (or, in German, “Zwitters”) were built between August 71 and July 1972. But the various VW bus generations manufactured by Volkswagen in Brazil and Mexico were built a lot longer (production of the T2 ended only in 2013). And they mixed different parts from T1, T2a and T2b buses. So I am not sure at all how old this bus may be. Siggi organizes trips to Costa Rica – if you are interested, check out his web site. Thanks for the great photos, Siggi! 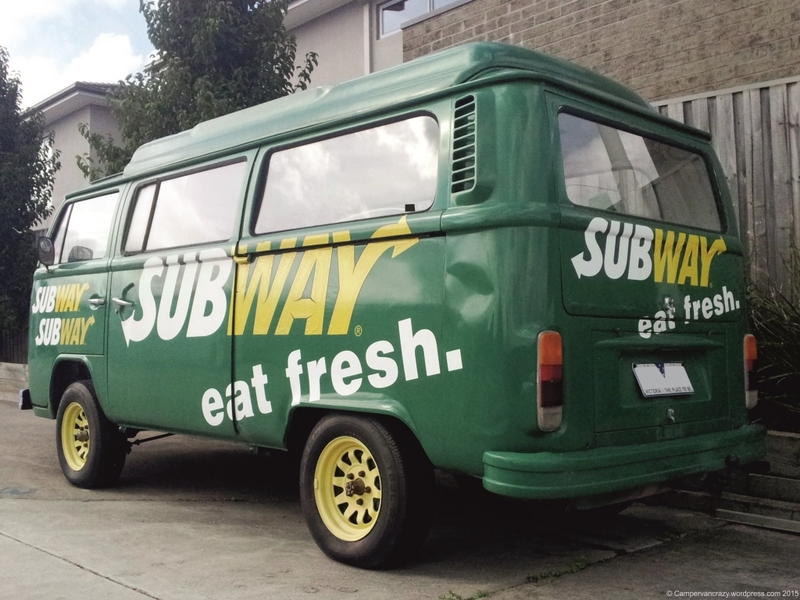 The T3 vanagon arrives in the ads! There is a new ad by the Dutch bank ING-DiBa which, for the first time, sports a T3 vanagon! The german line translates roughly into “car loan for people with their own mind”. So far split-window buses dominated ads and TV commercials for many products. Some years ago the T2 bay window buses appeared on the stage as well. Now it seems the T3 has also been recognized for its emerging coolness factor. Seeing that about 99% of the Berlin kombi club members are proud owners of T3s, I have also warmed up to them over the years. With the engine in the rear and the very early T3 buses still with air-cooled engines, they are certainly much closer to the splitties and bays than any of the later generations. 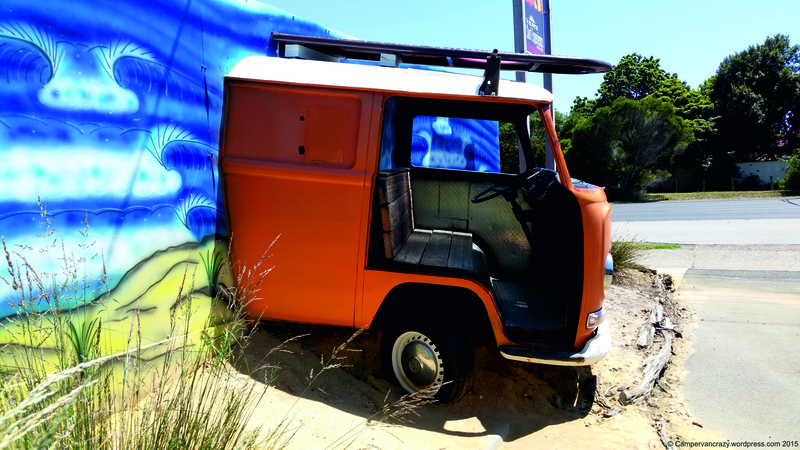 In certain parts of “cool Berlin” you would see several T3 vans parking in every street, often as self-made campervan conversions. If only because the T2s are now so rare and expensive that the T3s have become the affordable entry ticket into VW-bus based campervans. Judiging from the high wheel houses, this one is probably a Syncro (4-wheel drive) and also not a factory-built campervan. The roof rack with canoe and ex-army aluminum boxes completes the “camper-credibility”. And it even does not hide the little problems that come with such old cars (rubber sealing at the sliding door is partly out of position). Nice! 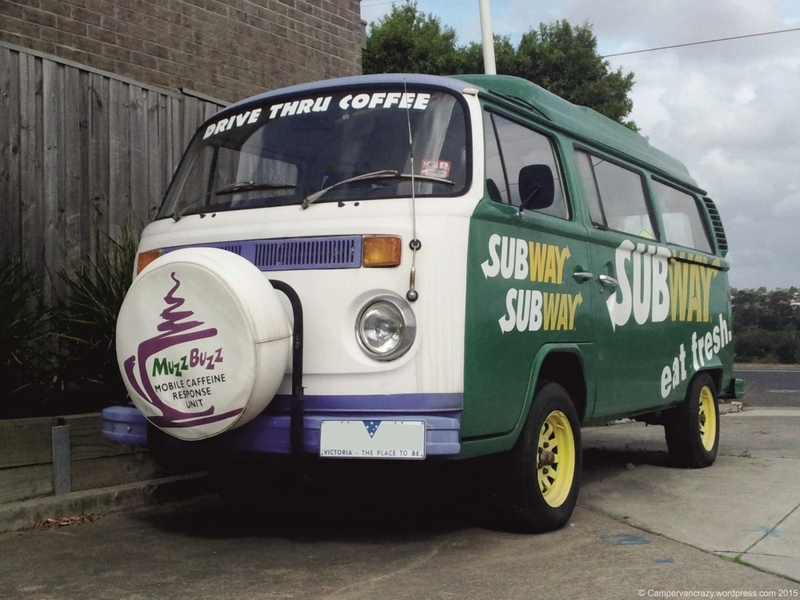 This kombi used to park at an intersection in Geelong on a corner shared by a Subway restaurant and Muzz Buzz, a drive-through coffee place. 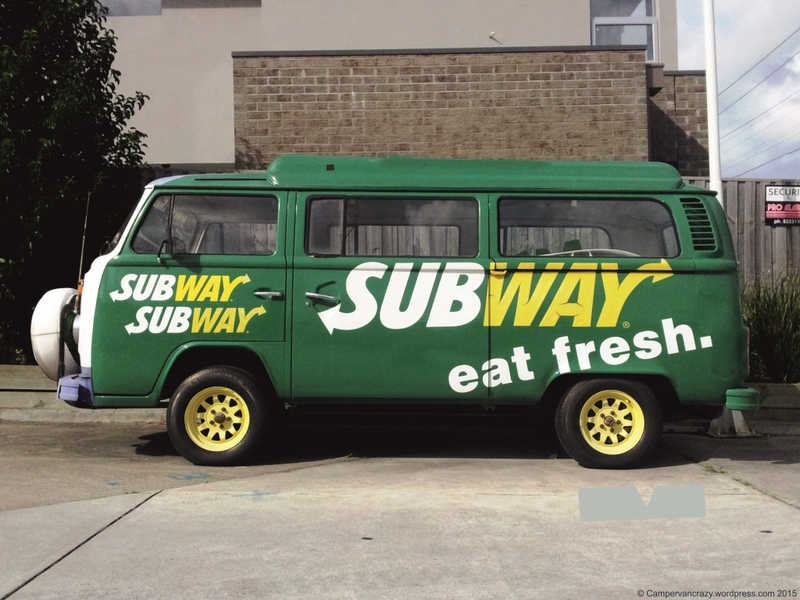 Interesting paintjob: Depending on the angle you look at it, it would look like a billboard for Subway or like a Muzz Buss coffee van (love the “Mobile Caffeine Response Unit”). 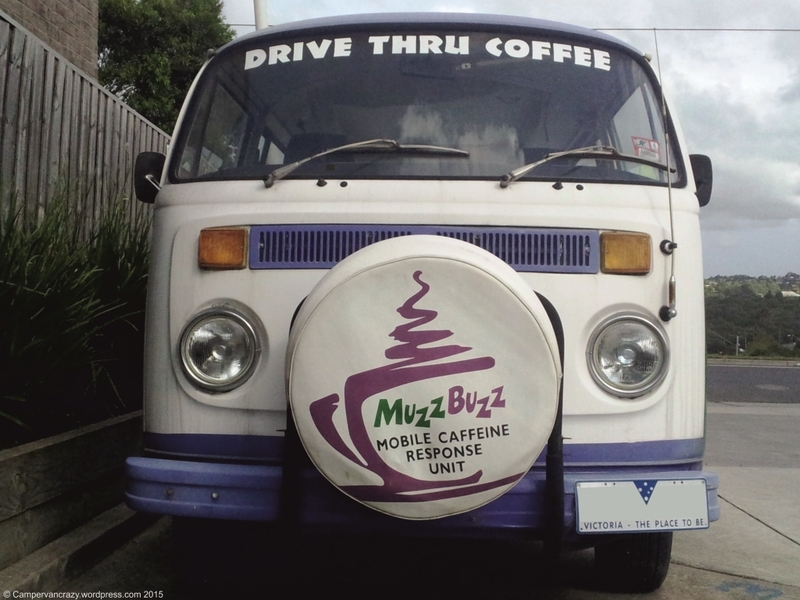 Perhaps they served the coffee out of this van before the little coffee shop on the site was erected? I believe this was originally a Sopru camper. Suddenly I see Soprus everywhere. 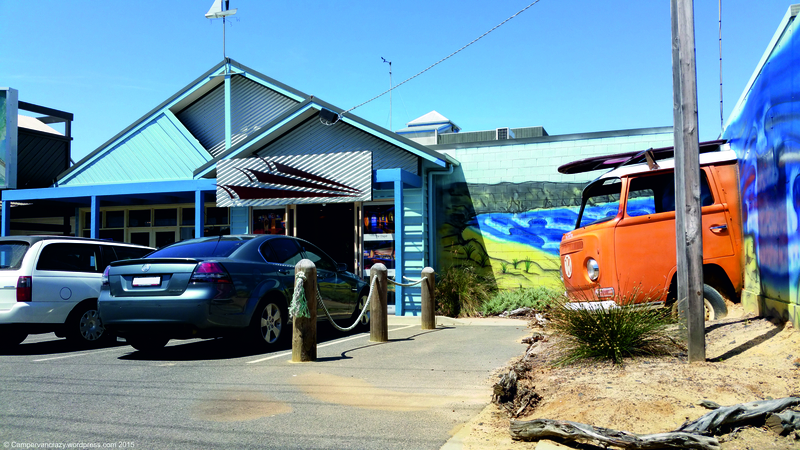 The pop-up roof looks like a Sopru, and the typical Sopru front roo bar has been chopped down to a front wheel support. 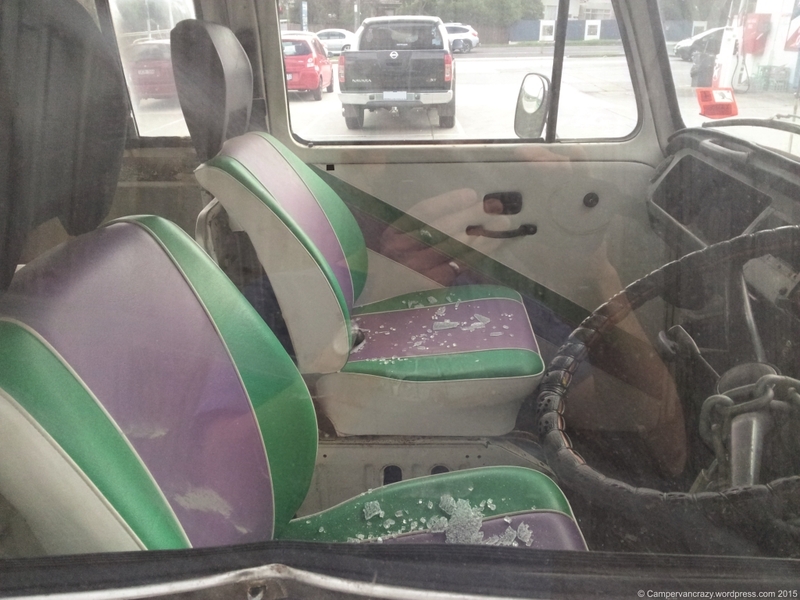 The seats are newly upholstered in the Muzz Buzz colors. When I took these photos in April 2014, it was retired from active service, parked in a corner and had suffered from a break-in (window in driver’s door smashed and shattered over the front seats, fixed with a plexiglass). Now, 18 months later, it is gone. Hope it is on good hands and perhaps has started its next life. 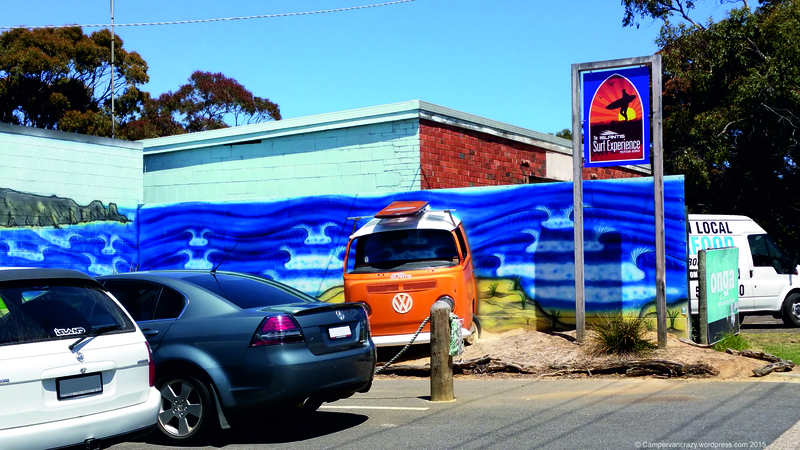 Eye catcher for a surf shop in the first little township on Phillip Island, southeast of Melbourne: Chopped off driver’s cabin of an Early Bay Window panel van. 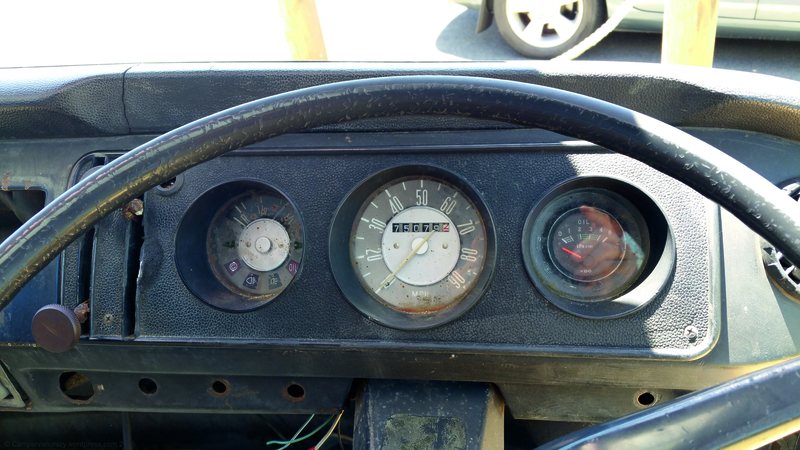 Steering wheel and instrument block still in place, front seats replaced by a wooden bench so that kids (and grown-ups) can play driving a kombi. Sweet! Commercial for car loans, on air on German television. Make your dream come true, get yourself a splittie! Beautiful 1960ies microbus with U.S. bumper bars. Nice understatement by Nowitzki. Note: Link and screenshot updated in Feb 2017.